One of my favorite things about Greek food is the Tzatziki sauce. (not so easy to say or spell, is it?) The cool, tangy, “dill”iness of it always feels and tastes so good! Especially in the heat of summer…and boy, are we in it. Whew. 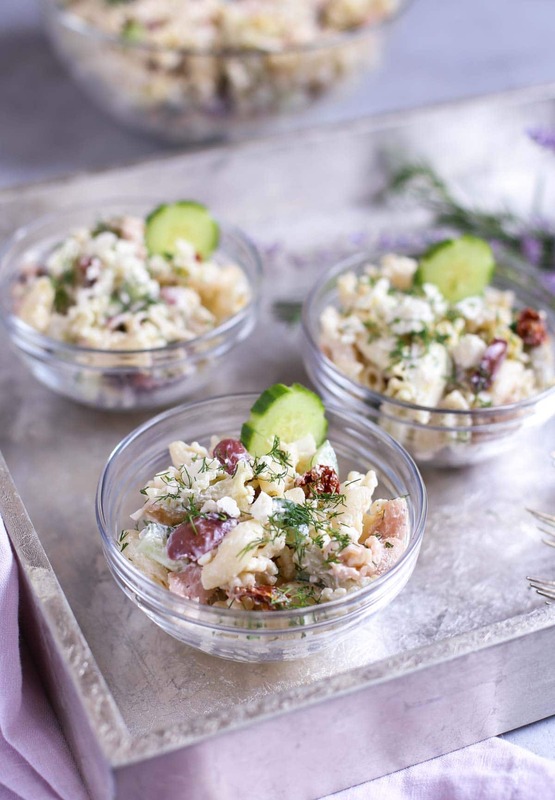 Greek and Mediterranean food is happily located near my office and is often my take-out food of choice…the girls in the office tease me because when I ask them if they want to order lunch, they know exactly what that is code for: something with Tzatziki. My “to-go” orders must have an extra side of this delicious sauce because I can never seem to have enough, nor will I waste it. 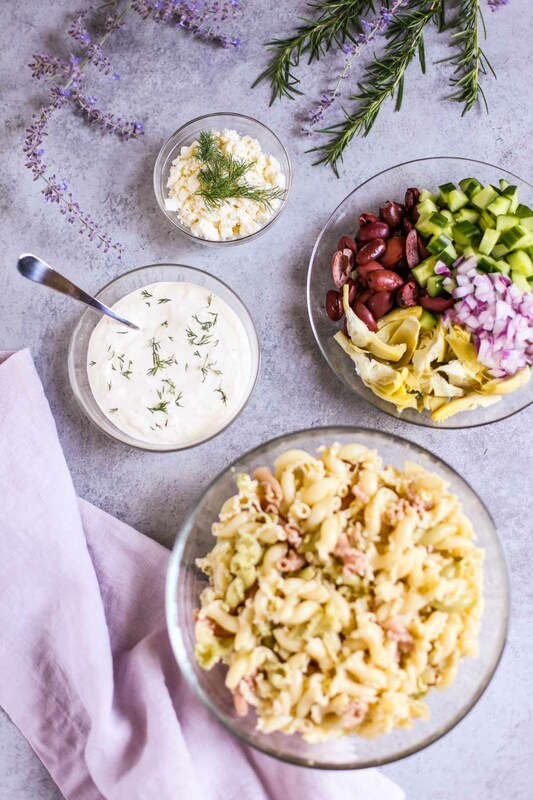 Tzatziki sauce is so versatile and can be used for dipping wraps or veggies, as a dressing on a fresh tossed salad, served over grilled meats, or even now, as a pasta sauce in this Tzatziki Pasta Salad. So I adapted Christin’s recipe slightly to adjust for some of my favorite ingredients. I love the fact that she blends the Greek yogurt with some mayonnaise for the dressing. A true “Southern girl is cooking” move. It rounds out the tanginess and also adds a bit of sweetness to the sauce. 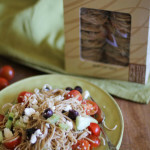 For another take on a Mediterranean pasta salad, try my Angel Hair Greek Pasta. 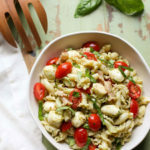 It uses a vinaigrette dressing recipe with a longer cut of pasta and is a delicious alternative on another fun night! 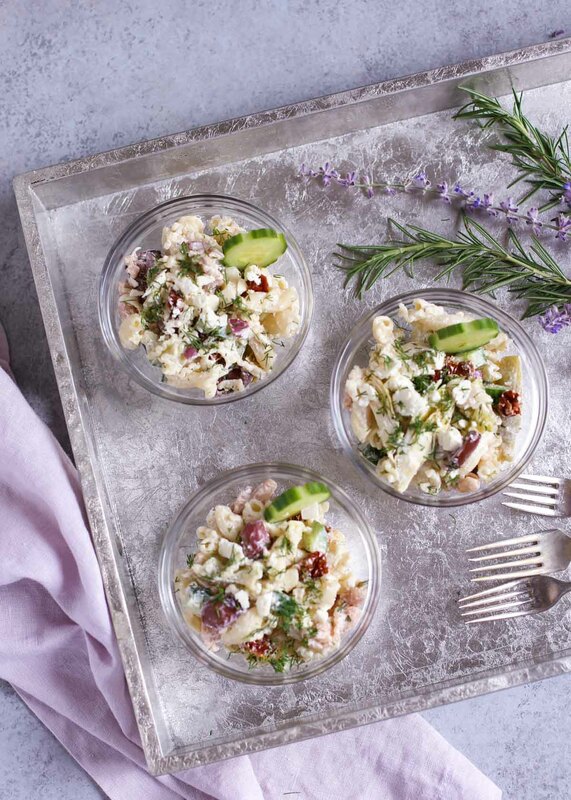 But here too the traditional Greek ingredients do not disappoint: cucumber, sun dried tomatoes, feta cheese, Kalamata olives, and artichoke hearts….each adding their own special note to make this Tzatziki Pasta Salad a winner! I used our new ORGANIC Italian Inspired Lilies for the pasta. 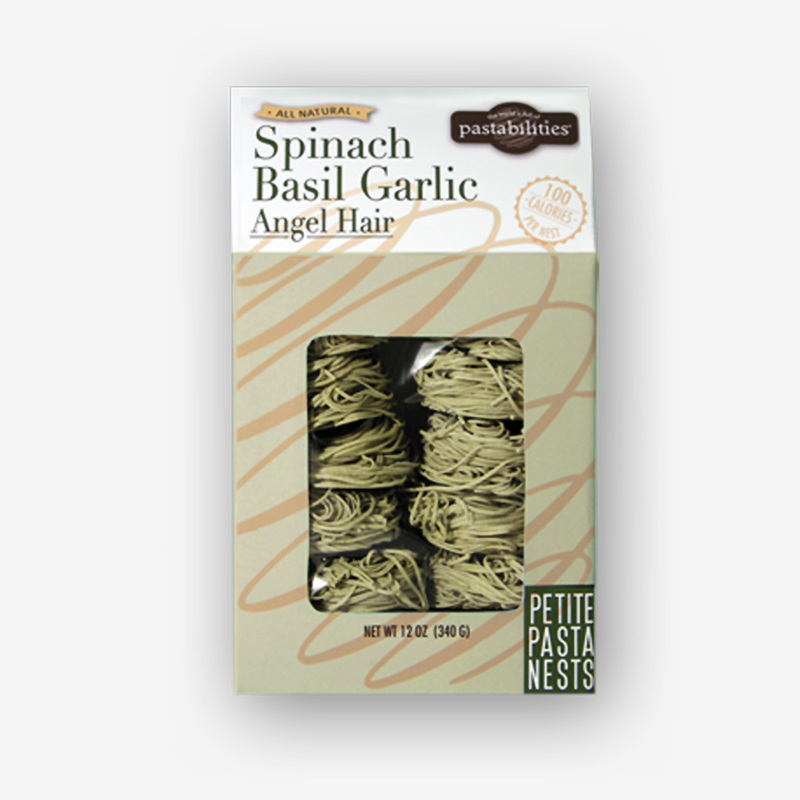 It is made from 100% certified organic durum wheat and vegetable powders. Woohoo! It should be available in the next two weeks online….so excited to share more about this line once it’s available. 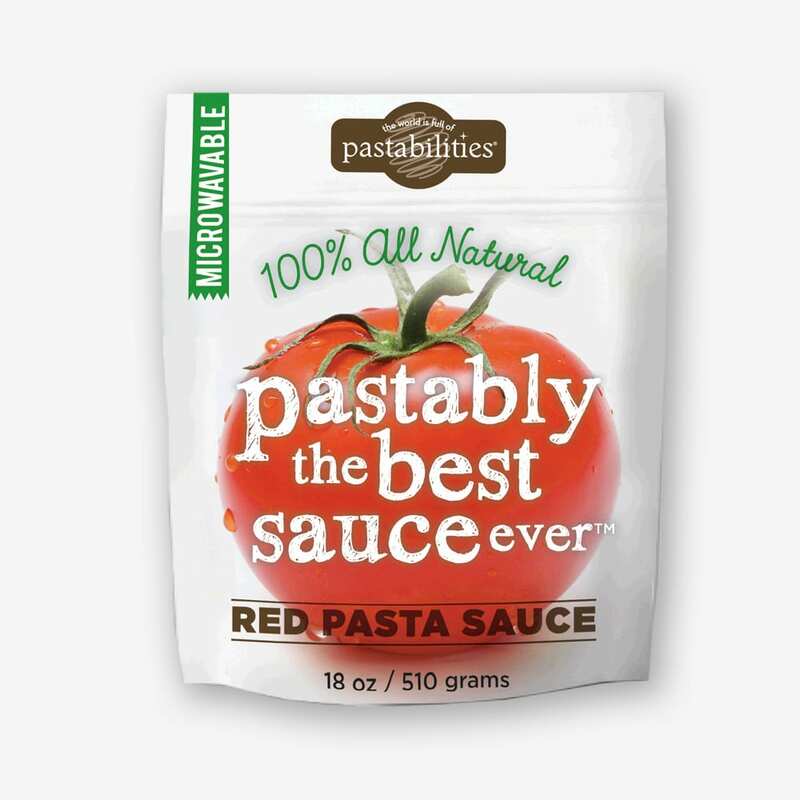 For now though, you can substitute our traditional Italian Inspired Lilies or any other pasta of your choosing. I imagine serving these cute pasta bowls along with some grilled flank steak on a perfect summer night. It’s my attempt at portion control…because once you start eating this folks, it’s hard to stop! And to see more of my cooking and food adventures, follow me on Instagram @thepastashoppe or subscribe to get free recipes in your inbox! The sign up box is in the right side bar of the blog! 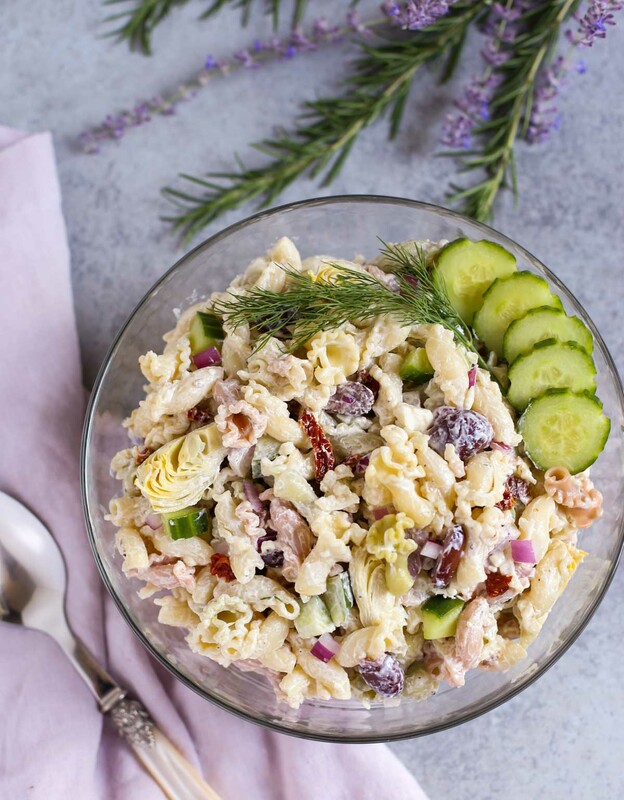 A cool summer pasta salad perfect for any grill night! Tangy and fresh...your guest will love it! Adapted Recipe from Christin at SpicySouthernKitchen. 2 T. fresh dill, chopped plus more for garnish! 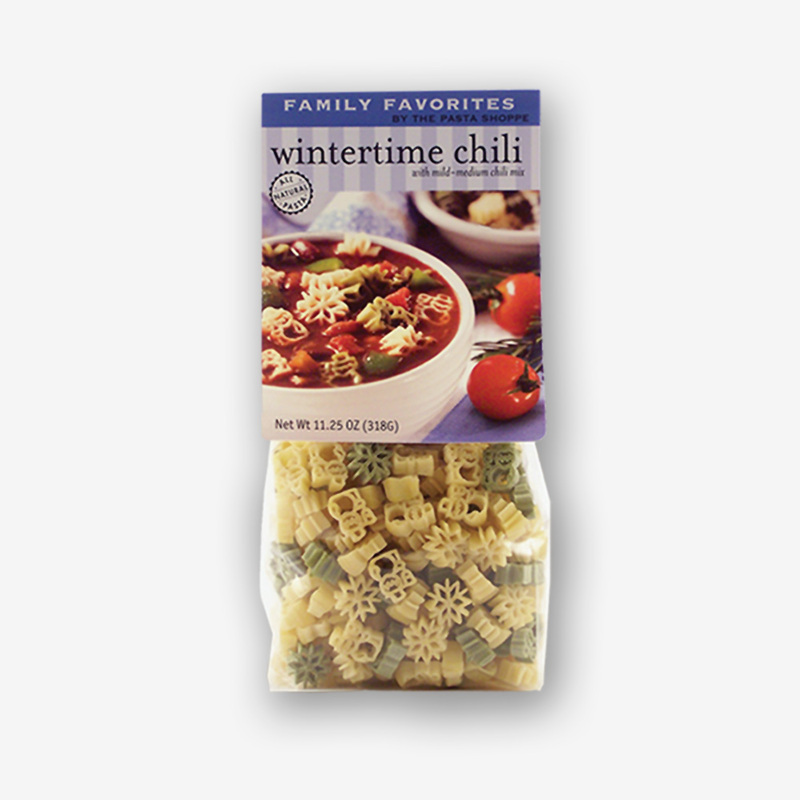 Cook pasta according to package directions, drained, and tossed with a splash of olive oil. Set aside. For pasta sauce, in a medium bowl, add Greek yogurt, mayonnaise, ¼ cup feta cheese, garlic, red wine vinegar, lemon juice, fresh dill, salt, pepper, and olive oil. Whisk until combined. 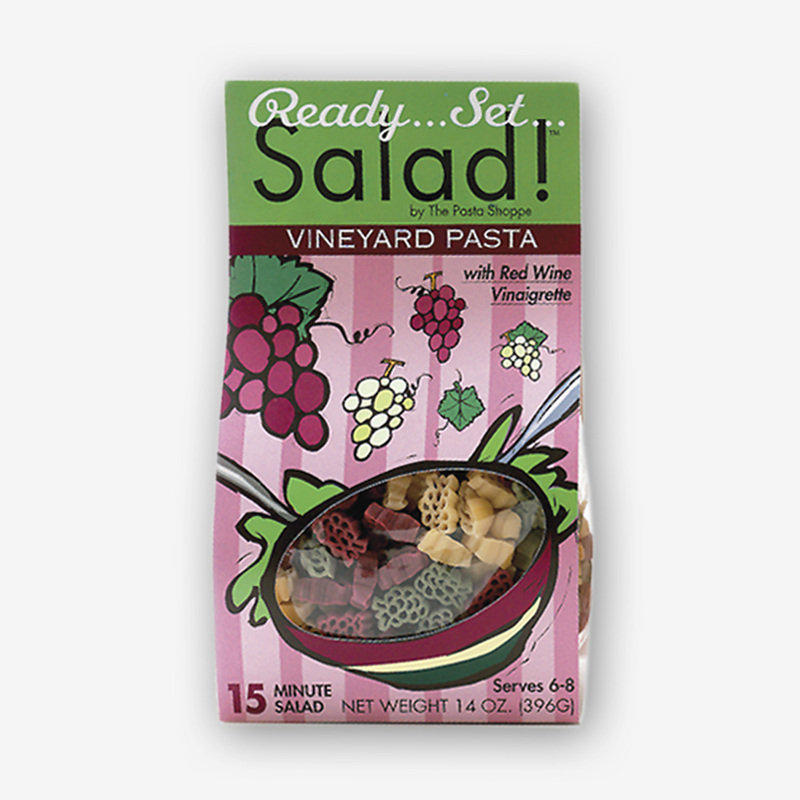 In a large bowl, combine pasta, artichoke hearts, olives, sun dried tomatoes, cucumber, and red onion. Pour dressing over mixture and gently toss to coat. Adjust salt and pepper as needed. 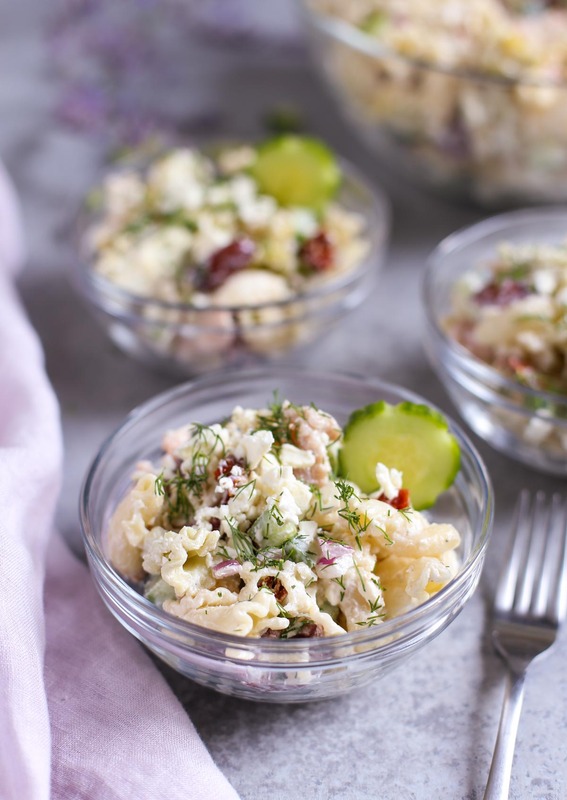 Top with more feta cheese, and fresh chopped dill. Serve immediately, or refrigerate until time to serve. 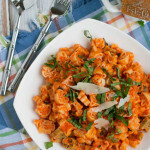 Can make ahead, but not "night before," as pasta absorbs a lot of the sauce! I love the organic lilies! They just look so appetizingly beautiful!! This dish is not only delectable, but beautiful! HUGE fan!! !